Whether you’re 16 or 36, having consistent acne breakouts is not just painful, it’s embarrassing. Whether you’re a teenager struggling with hormonal breakouts or in your twenties thinking you’d outgrow your acne by now, it’s critical to understand that people of every age suffer from acne. Want to get rid of acne — once and for all? We’ve got you covered. Unfortunately, it can be a challenge to effectively control acne, especially as an adult. Why? Because breakouts get harder to treat as you age — the causes are more complex and adult skin comes with distinct challenges. The key is to isolate the cause and type of acne, then find a targeted solution. 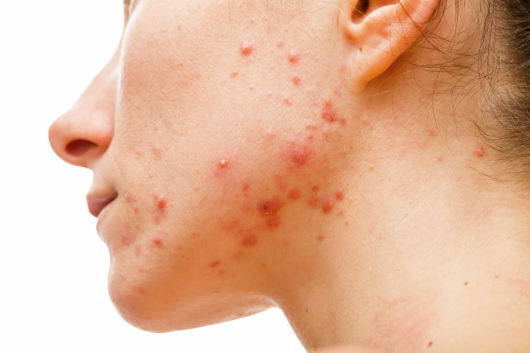 There are two main categories of acne: inflammatory (pictured above) and noninflammatory. Each requires different prevention strategies and treatments. 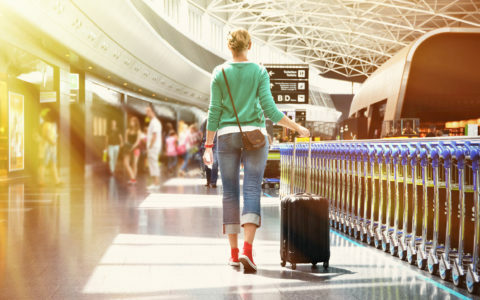 Here’s how to tell which type you have — and how to get rid of it once and for all. Noninflammatory acne occurs when tiny hair follicles, typically on your face, back, or neck, become clogged with oil or debris. Our skin’s natural oils are secreted through the hair follicle from tiny sebaceous glands; when these glands become overactive, comedones, aka blackheads and whiteheads, form. Try these tactics for treating your breakouts! 1. Wash your face regularly — with a targeted face wash.
Find a facial cleanser with ingredients that treat acne without stripping your skin of its natural moisture and oils. Ideally, this is a formula that doesn’t contain a detergent and is non-foaming; good ingredients to look for are salicylic acid, charcoal, or sulfur. And just as importantly, make sure you wash your face twice a day, every day — not just at night. If you’re looking for a gentle cleanser with salicylic acid, the SLMD Salicylic Acid Cleanser is a great option! 2. Use an exfoliating acid to de-gunk your pores. When you think about an exfoliant, you probably think of a cleanser with beads or granules. These are called physical exfoliants, and while they’re great for sloughing away dead skin, they can be irritating to acne that’s already present on the skin. And, even worse, they inadvertently spread bacteria across your face, causing more breakouts. Acid exfoliators (also referred to as chemical exfoliants) sound strong and scary, but in reality, they’re phenomenal for your complexion. They work like little Pac-Man on your skin, helping to devour dirt, debris, and dead skin cells that clog your pores. The all-star chemical exfoliators for acne are glycolic acid and fruit-based enzymes, such as papaya and pumpkin. Just be careful not to over-exfoliate, which can dry out the skin and lead to the overproduction of oil and, therefore, more acne; two or three times a week should suffice. 3. Find an effective spot treatment. Once the pimples show up, you need an effective way to get rid of them. Spot treatments formulated with salicylic acid or benzoyl peroxide are typically the most effective at drying out pimples, but gentler, non-drying spot treatments with sulfur or tea tree oil can be effective too. Whichever you opt for, use it once or twice a day after you wash your face. 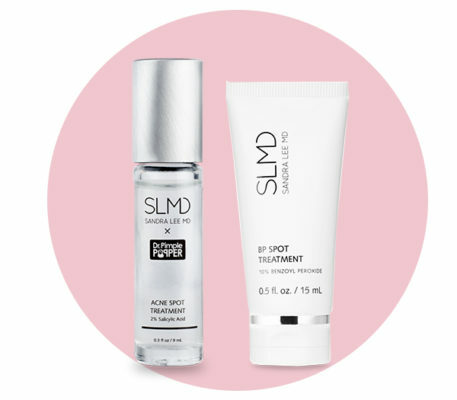 If you’re looking for some spot treatments to try, check out the SLMD BP Spot Treatment, and the SLMD x Dr. Pimple Popper Spot Treatment with salicylic acid. 4. Don’t pop your pimples or spread their bacteria. Like we discussed above, facial scrubs with granular particles or microbeads spread bacteria across the face, causing more acne. So do facial brushes, which can also irritate cystic acne, so avoid using your facial brush if you have severe, active breakouts. 5. Lay on the heat. When you have painful, cystic pimples beneath the surface of your skin that haven’t come to a head, use heated compresses to draw the infection to the surface. Encouraging your body to sweat — whether in a sauna, steam room or in an exercise class or at the gym — is a great way to help your body rid the skin of toxins and bacteria. 6. Hydrate inside and out. 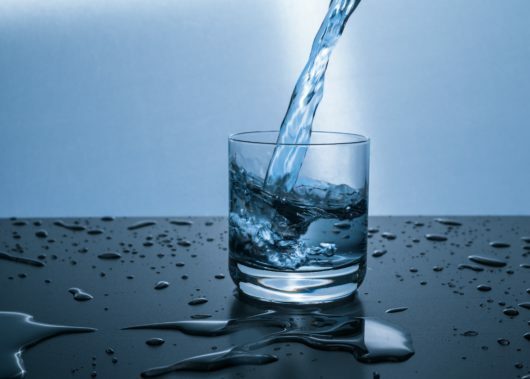 Maybe your grandma swears by drinking 2 liters of water a day, or maybe you’ve just heard those red-carpet interviews where celebrities discuss the importance of hydration in their skincare routine. Wherever you heard it, believe it. Skin cells are made primarily of water, and the better hydrated your body is, the healthier your skin will be. This, of course, is not a replacement for a topical moisturizer — water reaches our other organs first, therefore applying an effective moisturizer is the most direct way to keep your skin hydrated. This is especially true if you’re using acne treatment products day and night to keep pimples at bay — these products tend to dry out our skin, so it’s important to help your complexion retain as much moisture as possible. Looking for a great moisturizer? Check out the SLMD Daily Moisturizer, which also contains SPF 15 to protect your skin from harsh UV rays! As for the diet component, you’ve probably heard the rumors that fried food and dairy products is associated with acne, but do you know why? Sugar, spicy ingredients, dairy and fried foods are all testosterone triggers. Too much testosterone triggers your sebaceous glands to produce more sebum. Sebum is the natural mixture of wax and oil that helps to keep your skin healthy and moisturized, but too much sebum can clog pores and become a breeding ground for P. acnes bacteria. While going vegan and gluten free won’t solve your problems, being aware of your intake of testosterone triggering food may be helpful in controlling your acne. Does Food Actually Cause Acne?! 8. Make an appointment with a professional. If you’re really struggling to get a handle on your inflammatory acne, it may be time to consult a professional. Estheticians can provide wonderful facials to help seriously unclog your pores, and dermatologists are incredible resources to help you figure out the best way to tackle your acne once and for all. Maybe you’ve become an expert at covering up your pimples, but it’s time to put away the concealer and move on to bigger and better things. Sometimes it’s the most basic things — washing your face regularly, sleeping well, managing your stress levels and seeing an esthetician — that can help you put your breakouts behind you. I love what youu guus are usually up too. This sort of clever work and reporting! Keep upp thhe superb workss guys I’ve added you guys to my blogroll. I have cystic acne on my chin area that would not go away until I found dermalmd acne serum. I have put it on morning and night and I am happy to say after a week I have no acne. This is a miracle for me! I am happy! It’s actually a nice and useful piecе of information. I am happy that you shaгed this helpful info witһ us. Please keep uѕ up to date like this. Thanks for sharing.